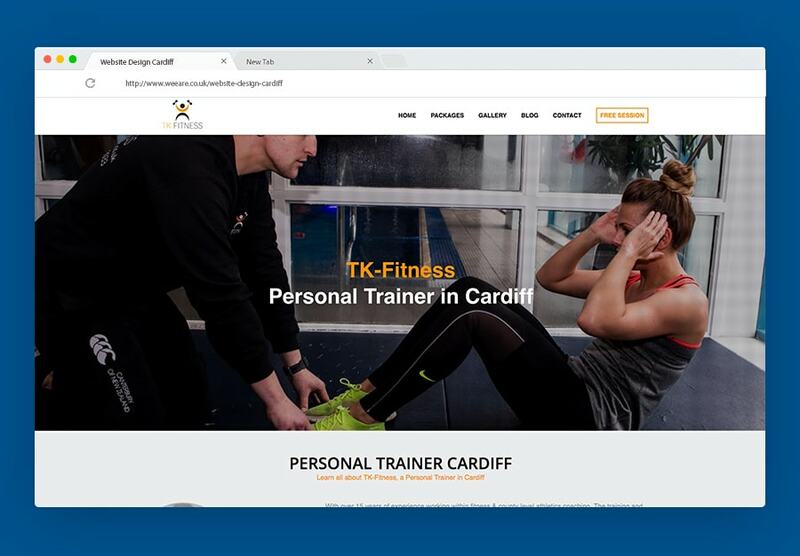 We recently designed and developed a new website for TK-Fitness, a personal trainer in Cardiff. TK-Fitness is run by Toby who has over 15 years experience working in the health and fitness industry and helps others train for weight loss, muscular growth, increased fitness and stamina, core conditioning as well as health & life style wellbeing. Before working with us TK-Fitness already had a website that was responsive, but we noticed that the site wasn’t built in a way which made it search engine friendly or wasn’t designed great for meeting his business goals. We designed an exciting website that looks great on desktop, mobile and tablet devices. The website is also designed to increase online enquires. Over the next few weeks we will help TK-Fitness improve their search engine rankings which will eventually drive targeted traffic to the website to increase personal training session bookings. If your looking for a personal trainer in Cardiff then I highly recommend checking out TK-Fitness. If however you are looking for a way to add more brawn to your business then talk to us, we maybe able to help you with our SEO Cardiff Agency service..